The Confluence partnership was formed in October 2013 in response to the launch of Arts Council Wales’ Ideas: People: Places which aimed to embed the arts in a genuine and meaningful way, in a small number of imaginative, ambitious and innovative regeneration projects. 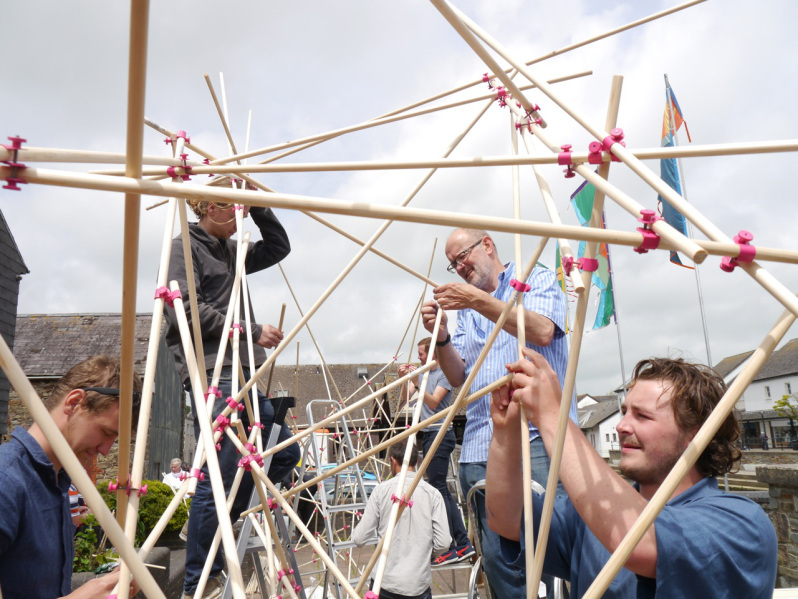 spacetocreate provided creative leadership working alongside iDeA Architects and three other partners: PLANED, Pembrokeshire County Council and Transition Haverfordwest. An experimental participatory arts and regeneration programme – the Lab, ran alongside a series of socially engaged artist commissions in the three-year initiative, which provided an unparalleled investment in the arts and regeneration in Haverfordwest. The production of PLATFORM – a three day contemporary art event in October 2016 presenting Haverfordwest as a stage for a programme of new commissions and existing artworks by artists living in and around Pembrokeshire. Developing Ideas Lab – a regular monthly drop in session on the first Wednesday of every month as a test bed for arts and regeneration in Haverfordwest. Find out more about about the Arts Council of Wales strategic initiative Ideas: People: Places and the six other arts and regeneration projects in Wales here.